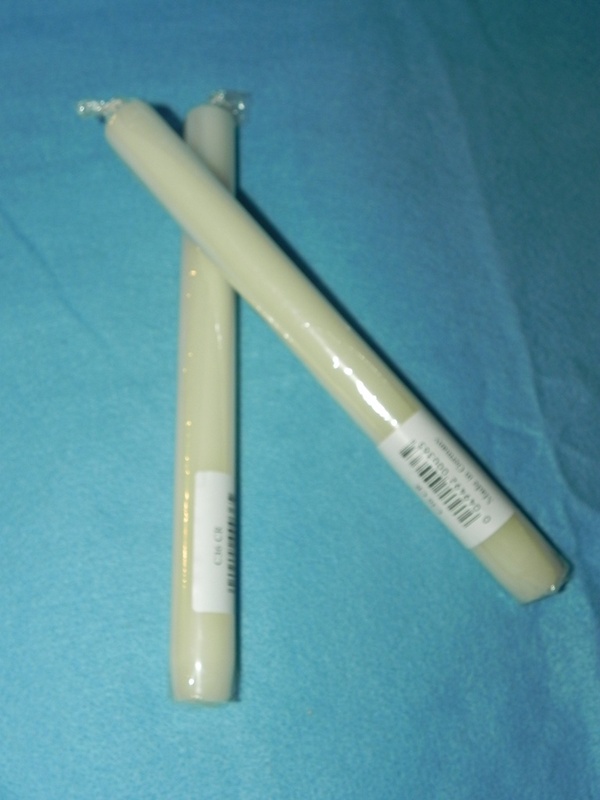 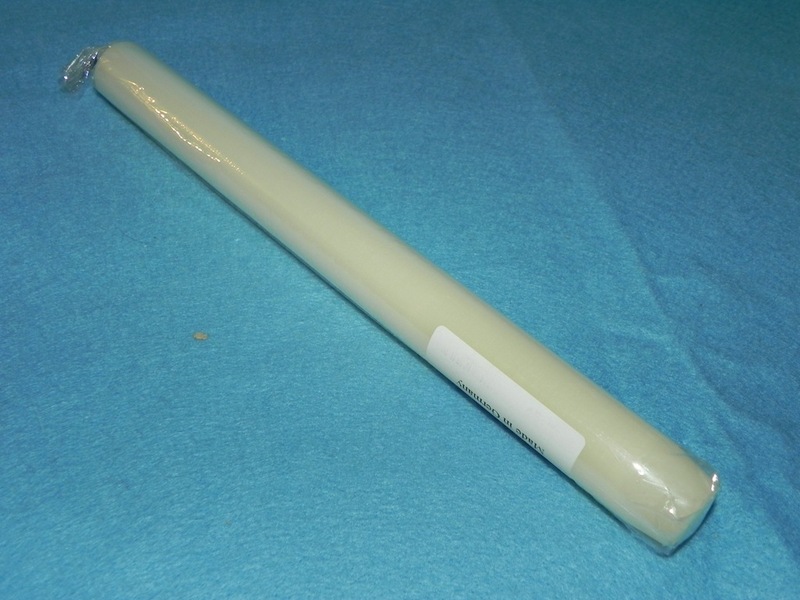 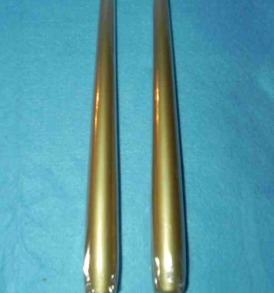 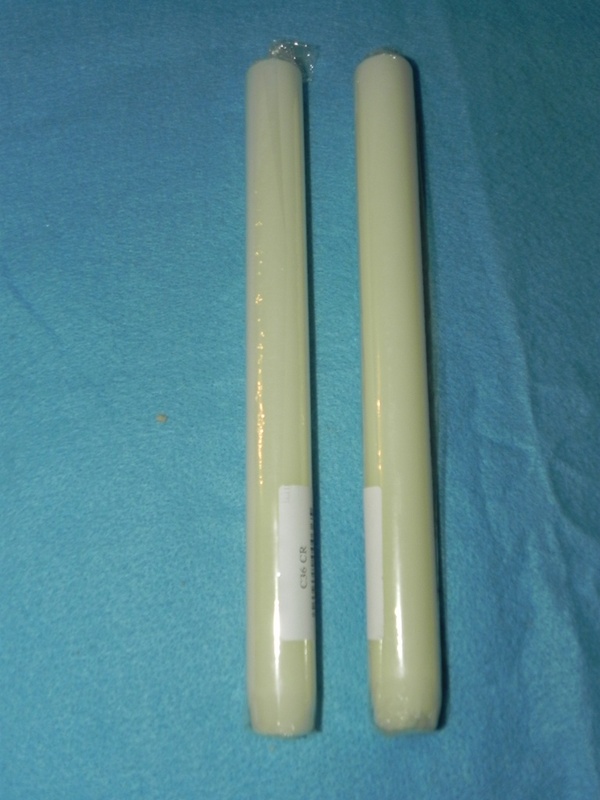 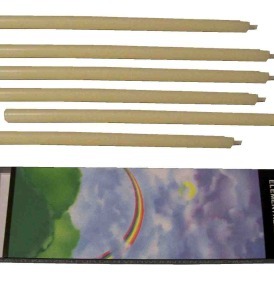 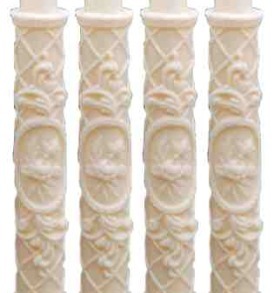 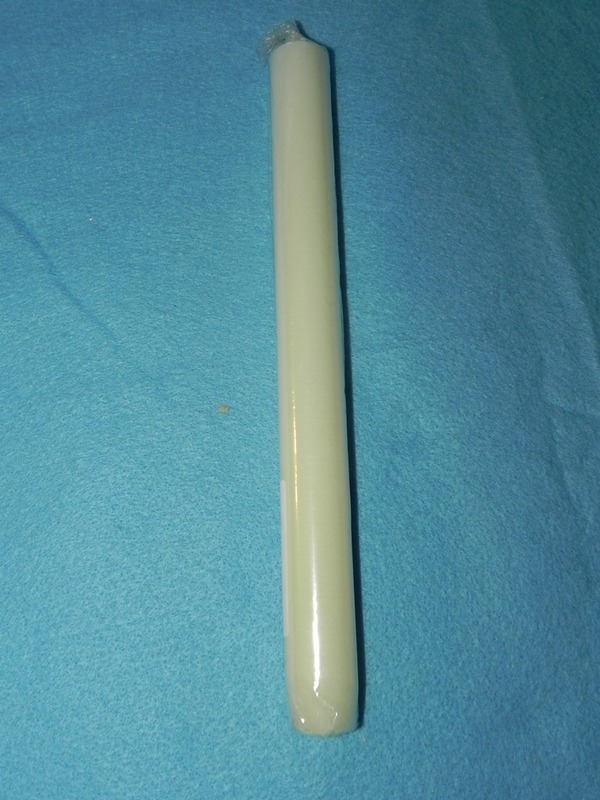 Set of 2 Cream Dinner Taper Candles. 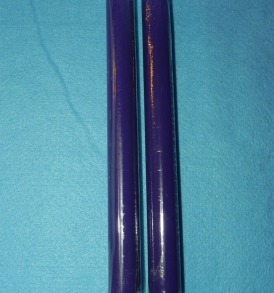 They are 7/8″ in diameter by 10″ tall. 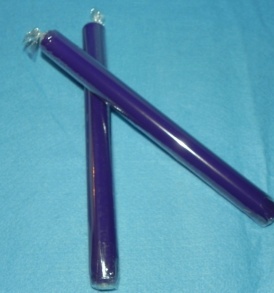 Their burn time is approximately 8-10 hours each. 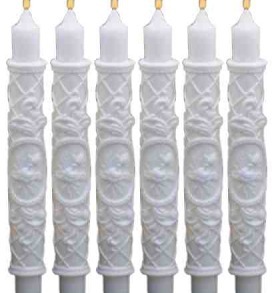 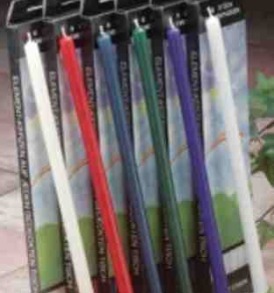 They are made in Germany and are dripless candles.